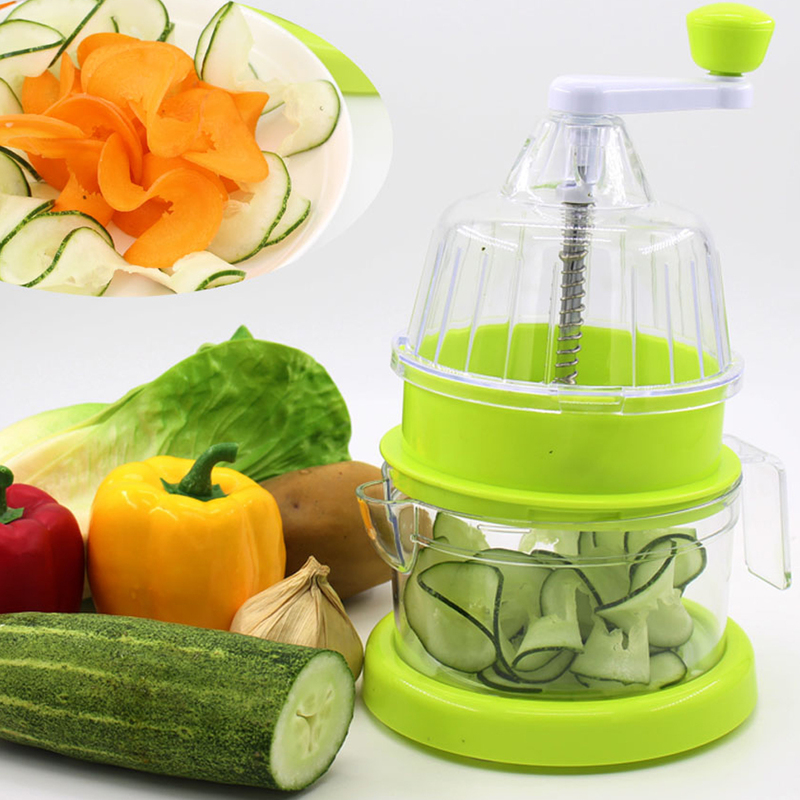 Vegetable Spiral Slicer-A good veggie pasta vegetable spiral cutter,salad maker,veggies spiralizer. 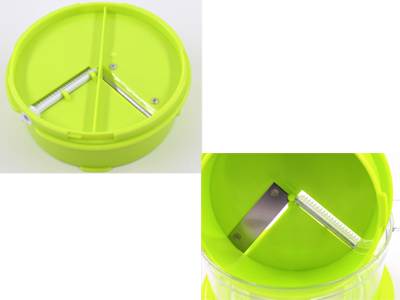 ♦Spiral food slicer; great for garnishes or salads. ♦Quickly creates spiral strands, ribbons, or slices. ♦Durable plastic construction; 2 slicing variations. ♦Clear plastic catch tray; simple clean-up; handle keeps hands away from cutting surface. Spiralizer makes it easy to transform your veggies into spaghetti-style spirals and ribbons, which is great for salads and a healthy alternative to pasta or many other cuisine. 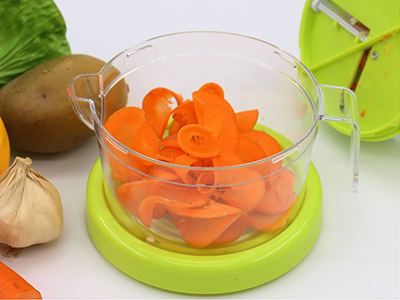 Compared with bulky and expensive electric spiralizers that need to be plugged in, the advantage of this handy vegetable slicer is that it gives you full control.Perfect for veggies like Potatoes,Cucumber,Carrot,Zucchini and more. Quickly creates spiral strands, ribbons, or slices. 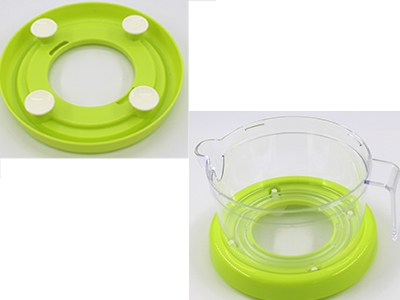 Spiral food slicer; great for garnishes or salads. powerful suction feet for added stability and is made from safe, high-quality materials. vegetable spiralizer has powerful suction feet for stability on your countertop or table, making it extremely easy and safe to use! Just place it on a flat surface and you're ready to slice. If you adore cooking food, this spiralizer going to a great match for you. It can help you to Spiralize vegetable, vegan pasta like the spiralizer recipes do, slice the sweet potatoes, onions etc. help you prepare for salad, sushi or any other raw food diet. 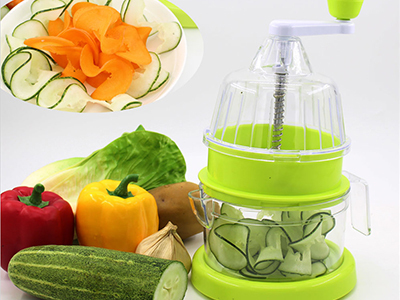 It is amazingly simple to use, just place your desired vegetables or fruits into the container and rotate the crank, and then you will get fine shredded stuff. 2.What can you use it for? CAUTION:Blades are sharp!Please keep your fingers away from the blades at all time!Make sure to clean all the spiralizer's parts with warm water and a mild cleaning agent before the first use. Carefully dry all parts.